Publishing is changing, but you knew that. The problem becomes how is it changing right now, and what headlines are we to believe about recent trends. December and January are great months to evaluate the past year and forecast upcoming developments. Unfortunately, several publishing headlines proclaimed facts that don’t present the true picture. Politics isn’t the only purview of misleading or fake news. Thank goodness for Hugh Howey and Data Guy. Articles claimed that ebooks were decreasing and paperbacks were on the rise. Turns out that the rise of paperbacks sales came from several sources. 1: adult coloring books in 2015-16 became wildly popular. 2: Traditional publishers winning against Amazon (remember the big battle for agency pricing?) hiked prices for popular ebooks to sometimes the cost of a paperback. Readers chose the paperbacks when Amazon discounted them almost to parity with the ebook. 3: Finally, the data for these articles came from Bolkers who issues ISBNs. ISBNS are used by traditional publishers to track books. One book could have three or four different ISBNS depending on its format. An overwhelming amount of Indie publishers don’t use ISBNS due to their high cost here in the United States. They are not required by Amazon to publish ebooks. Amazon provides for free their own ASIN to tag ebooks. Indie authors often sell the large majority of their work as ebooks on Amazon and use Amazon’s ASIN. I use both. Thankfully, Data Guy has a software program that scrapes data from Amazon, and other distributors (Kobo, Nook, etc.) to provide a more accurate picture of what might be happening. Jane Friedman writes a blog with some interesting comments on the state of publishing. I believe that politics has impacted sales for January and February by distracting readers from books. My sales have dropped off, and I blame lack of marketing and political distraction, but this is merely my assumption. What about you? Surprising changes in publishing are Amazon’s foray into brick and mortar to sell books and their new traditional publishing style imprints that are popping up. I live five minutes away from the mall that houses Amazon’s new brick and mortar store. It’s fresh and new and highly curated. All covers face out and most are selected from Amazon’s bestsellers lists. It’s clever because a reader is presented with books that are proven already successful in the marketplace. No prices are put on the books since Prime members pay less and prices may vary. Will this new Amazon strategy pay off? This week I read Charlie Jane Anders’ “All the Birds in the Sky.” The timing couldn’t be better as it has just received a 2016 Nebula Award nomination. The story starts off with Patricia Delfine’s tortured years at Canterbury Academy. All the angst of junior high school are magnified. Cliques of girls harass her and call her a witch. True, she talks to birds and a rather important tree, but only in the woods where no one can hear her. Nature is sacred to her and often she tries to escape the cruelty of her life by going into the forest behind her house. Not only is school traumatic, but when she gets blamed for mean girl tricks, the school calls her parents and they lock her in her room for days, only letting her out to attend school. Her younger sister brings her meals, but not before she has poured hot sauce and chili pepper all over it. Sibling love at its finest. One day, Patrica literally runs into Lawrence Armstead who also gets pushed around and ridiculed at the same school. He, however, is a computer genius, and through a schematic on the Internet builds a time machine in a wristwatch that can jump him ahead two seconds. It’s not much, but it helps when spit balls come his way. Eventually, he builds a robot from parts and hides it in his closet. Unfortunately, his parents don’t value his geeky genius and sign him up for the Great Outdoor Nature Adventure to get him away from his computer and experiments so he can be more like “normal” boys. He hates it. Patricia and Lawrence become awkward friends. Patricia is talked into lying about his attendance at nature class in exchange for twenty dollars. Lawrence also provides her with a module so she can talk to his robot and “socialize” it. The AI, in turn, gives out good advice on coping. The book skips forward to San Francisco and young adults Patricia and Lawrence. Both have survived their childhood…barely. Patricia actually saves Lawrence’s life and, after a traumatic event, Patricia is found by a magician and runs away from her family to magic school. The second half of the book follows the reunion of the two where they both struggle with lovers, their jobs, current co-workers, and a growing threat to the world. It becomes apparent that Patrica represents magic and nature while Lawrence symbolizes science. Together the two, with their talents, might save the world from a looming doomsday threat. This is a strange book for science fiction. The early lives of the two main characters makes for agonizing reading and points out the failure of society both in education and child raising. 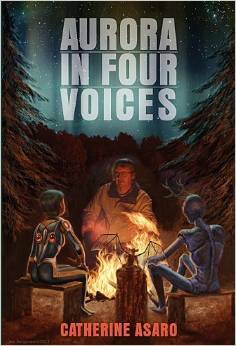 I find the Nebula has often nominated and awarded unusual books that dance between fantasy and science fiction. This is one of those books. Although the ending rather disappointed, I still recommend reading the book for its vivid characterizations and emotional events. It has a bit of the flavor of the Magicians in it. The trials these two have to overcome endears them and is worth the read. And while reading this book, if you’re an adult, you’ll be glad you are. If you’re a teenager, you’ll be grateful that your life is better than their early life was… I hope. Before reviewing two sequels, I want to mention two new marketing programs I have recently experienced. The first came about when Catherine Asaro showed up to follow me on Twitter. Wow! Me! Her series of the Skolian Universe is one of my favorites. (Received a Nebula for A Quantum Rose ) and I dream….dream of having my Alysian series do anywhere near as well as hers. So I was excited when she popped up in my e-mail and wanted to tweet me. Turns out she was putting out the word for an innovative Kickstarter Program for an audible book, Aurora in Four Voices. The goal was $4500 and by the time I tweaked to what she was doing, she had exceeded that goal reaching $5595 with 121 backers and promising to write a new novella for the series if she got to $9000 by the deadline…and it looks like that might happen. The idea of funding books, and other projects, with Kickstarter is getting a lot of notice resulting in notable success stories. Most likely you need to be as famous as Asaro or have a compelling story to tell to achieve your goal, but it’s gaining enough traction to keep an eye on and think about. The other new marketing program I want to mention is Amazon’s Countdown Deal. I found the five days free with KDP Select extremely successful, so I decided to try the CountDown also, as an experiment. Often five days, especially over a weekend, isn’t enough time for some busy readers to act on a special. However, if you missed my KDP Select deal, (and many didn’t) here is another opportunity to get Caught in Time at a discount. Starting July 6 at .99 the price escalates every three days for twelve days and then the price resumes at the normal retail rate of $3.99…still a bargain, and you have twelve days to act…although time is already running out. Tap on the cover at the right, open the window to Amazon to get the current status, get a great price and enjoy a fun adventure through time to a medieval past. For all the commotion and negative comments currently going around about Amazon, if you are an author and want to sell books, Amazon does it far better than any other venue. They also strive to come up with ways to help market your book if you are an author, or help you find what you want to read if you’re a reader. I am both, and grateful. It’s unfortunate that success often makes you a target. I don’t remember the big publishers having such tender hearts over fledgling authors back in their day. If they deigned to respond at all, they called the tune and made the authors dance through their narrow publishing gate. Now they’re trying to characterize Amazon as the greedy guy? And…The big chain stores that squeezed out the mom and pop bookstores are suddenly calling Amazon a bully? How memories fade. 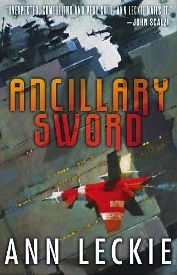 When I suggest a series, I usually start with the first book of the series in my review. If I really like the series, often I continue on with other books in that series. This week, I want to briefly mention a few. Sometimes it’s worthwhile to know whether to start a series or not. The first comment is from the Expanse Series. 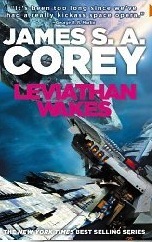 See my opinion on Leviathan Wakes in my June 9th blog. 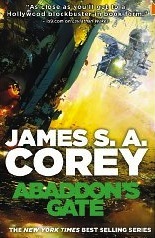 James S. A. Corey’s (pen name of Daniel Abraham and Ty Franck) third book. Abaddon’s Gate, continues this saga. It didn’t disappoint. The story continues as the proto molecule escapes Venus and hurtles out to Uranus where it creates a self assembling ring or gate. James Holden and crew join ships from Mars, Earth and the Outer Belt to investigate the strange structure. Neither one wants the other to get an advantage over them in the exploration of space, so all parties show up. Drawn through the structure at high speeds, all ships suddenly come to a deadly halt and are forced into a slow crawl with many suffering damaged crew, cargo, ship and passengers. On the other side of the ring only empty dark space is visible. Without going into too much detail, so as not to spoil the story, a new character is introduced who wants to kill Jim Holden. So intrigue and drama continue in this third of the series. How will Holden survive and dodge an assassin’s obsession? What message does the proto molecule alien deliver to Holden through the now dead Detective Miller? What political intrigue results as ships jockey to survive and conquer each other? The bottom line…Did I like it? Yes. And if you liked the first two, you will also like this one. 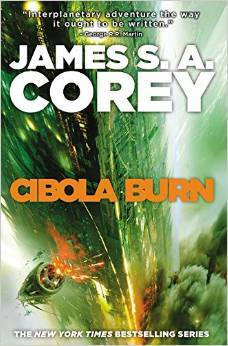 There is also a fourth coming up…Cibola Burns. Hatchette has priced the Kindle at $12.99 and hardback at $25. Envision me ranting on a worn-out soapbox. Another third book in a fantasy series with the same results is the Republic of Thieves by hot author Scott Lynch. 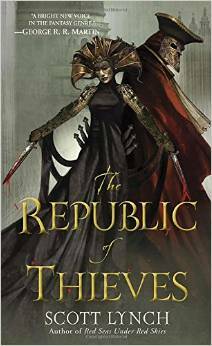 The Republic of Thieves picks up from the dramatic conclusion of Red Seas Under Red Skies and starts with Locke Lamora dying. After exhausting every avenue and every local physician, stalwart companion Jean convinces Locke to enter into a pact with the Bondsmagi to save his life. In return for purging Locke’s body of the sorcerer’s poison, Jean and Locke agree to orchestrate a winning ticket for the Deep Roots party in Karthain, Capitol of the sorcerers. Unbeknownst, but not for long, the opposite party, The Black Iris, will be run by Sabatha, Locke’s up to now mysterious love, briefly mentioned in the two previous books, Two stories of their relationship alternate throughout this book. Once again, all three are up to their eyeballs in chicanery, manipulation, a Shakespearean style play and all around laugh out loud bantering dialog. In science fiction you can have both in the same body or alternating genders. 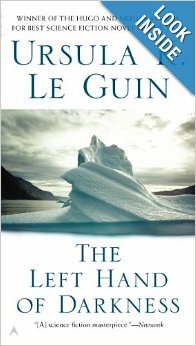 Ask Northwest author Ursula LeGuinn or read her classic, The Left Hand of Darkness. 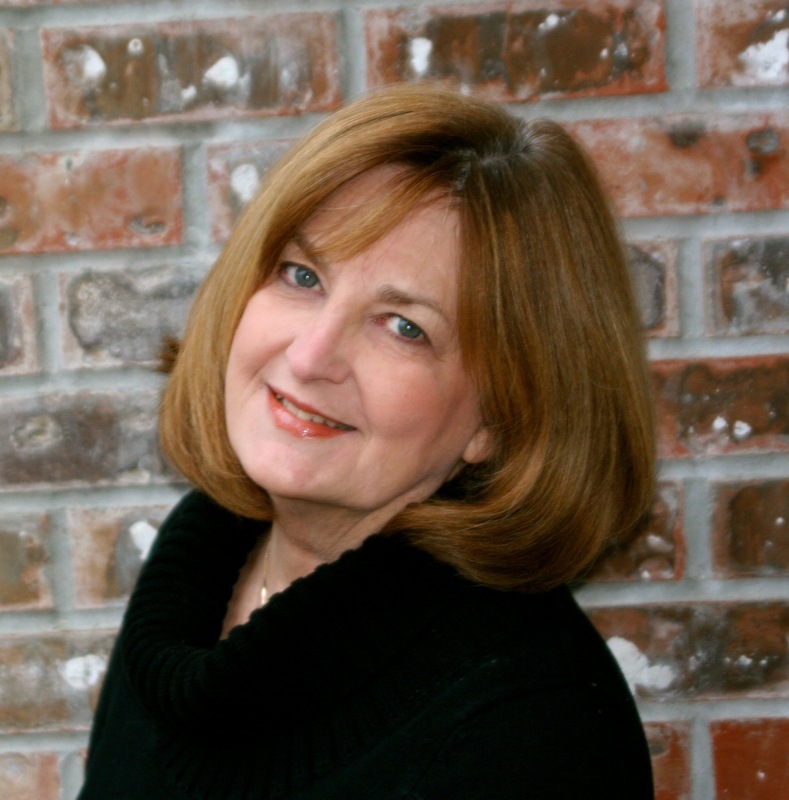 In her novel, gender fluctuates due to monthly cycles called kemmer. Currently in my work in progress, I have an angel like alien that is androgynous. There is a bit of a question about the gender, and the reaction in the humans over the uncertainty. The Enjelise can shift genders, but for most humans they remain genderless as there are only three now left on the planet. But, oh, the one still left is powerful. For me, it makes for an interesting character in my story. And fun to play with. 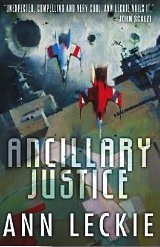 However, in Ancillary Justice by Anne Leckie, gender goes through the wringer. Told in the first person narrative, the reader is informed that the speaker can’t recognize gender. Are you getting an image of this character in the snow? Tell me what it is. As a reader we fight to visualize the story in progress, to engage our imagination. But this character is face down in the snow with very little details given, and those at best are confusing. And intriguing. You did see the thousand years dead part too? And the narrator saying the person was one of his/her/its officers? What are you visualizing? Can you? Oh…Scramble, scramble. The reader is trying to get a visualization of the narrator now and with not much detail. We know the narrator has a human body at this point because of the reaction from the bar’s customers, thinking it’s a conquering Radchaai citizen, whom they hate. But…these characters are not fitting into the neat little boxes we are so used to. The narrator tries to explain while in the bar getting help. Okay, reader…you have been warned! Get ready for trouble…for you. But, I blithely read on, not realizing what I waded into. No it isn’t! This little aside is surrounded by action, she referents, dialog and slipped right past me. Great! My narrator is not human, but a piece of ship equipment pretending to be human, has gender recognition problems and hints that a thousand years is nothing to it. I’m squinting trying to get a read on this person/once officer that my narrator has decided to save, nevermind the narrator himself/herself/itself. Chapter two explains what my narrator was originally. It was a ship…a troop carrier, the Justice of Torens, a two thousand year old troop carrier that nineteen years ago (give or take) had ancillaries connected to the A1 that ran the ship. A networked mind troop carrier aware of every muscle twitch and breath of its ancillaries. Awesome. A multi mind artificial A1. Read on, oh reader. Ancillaries are humans from subjugated or “annexed” worlds defrosted at need, implanted with slave minds and used as soldiers for the conquering Radchaai who are led by a thousand bodied leader, Anaander Miandaai (me and Ai?) whose mind is networked among her/his cloned self. The second story line develops in Chapter two. The narrator goes back twenty years where it is now a twenty ancillary unit from Justice of Torens One Esk (Esk is a ship level of soldiers) that are dispatched with human Esk Decade Lieutenant Awn to complete the annexation of the world of Ors. There you get a full description of the subjugated world. Lots of jungle. A head priest. Yada, yada. Stolen weapons. Oops. Now the author gets to mess with your mind even more because One Esk only uses female pronouns and you’re digging hard to figure out Lieutenant Awn’s gender. Gradually, you notice how deeply One Esk is devoted to Awn and admires the lieutenant even when there’s an affair with Lieutenant Skaait, another officer of a higher social rank and a free thinker. (stay tuned for him/her later) But which one is male; which one female? I need to visualize using the shortcut of gender with the subtext that goes along, and I’m not getting it. You’re forced to study behavioral clues. And not finding much. Then, the reader meets the leader of this vast star flung empire of Radchaai who reveals that he/she/ it is battling with its many selves (over a thousand) for power. And keeping secrets from her/his other selves and covertly dabbling with The Justice of Toren’s programming. How far can you push an A1 embedded into a human body, and influenced by human emotion until it does something unexpected? Like murder. Can a machine love more than a human? Feel as deeply as a human? Override its programming? An act of betrayal destroys the ship and One Esk becomes splintered off from all components, surviving under the name Breq. One Esk, former ship, now named Breq tries to act human and more, plots to destroy the multi bodied leader and bring down the far flung Radchaai Empire by itself by recovering a hidden and dangerous weapon. Already being suggested for a Nebula, this novel is challenging, convoluted. You’ll love it, hate it or think about it too much and the messages it sends on what it means to be human and gendered. Sometimes being an author can be fun when we create unusual thought provoking societies, their worlds and the interesting characters that live in them.